When it comes to selling, homeowners naturally reach for the paint brush or tool kit in the hope of making their home more profitable when it goes to market. However, with first impressions a crucial element in the purchase journey, it is the styling of a room that can make or break a prospective buyer’s opinion of the home, and even add thousands onto the final sale price in the process. In order to make an impactful statement and create a space that is visually appealing, we have compiled a guide to preparing your home for sale. A property stylist is qualified to assist with maximising the visual appeal of your home, and in turn, can help in achieving a higher purchase price. We recommend working with your agent first to see how your home competes in the primary market. This then provides an understanding of the level of styling that is expected when selling in your neighbourhood. It is important to remember that in a competitive market, every impression counts. A property stylist is able to cut through the clutter, creating a ‘wow’ factor, and eliminating any opportunity for doubt from prospective buyers through incorrect furniture choices and styling. If you can’t afford to invest in a property stylist, it is important to begin the preparing process by analysing your home. Inspect the interior finishes, natural light vs. artificial light, is the space large or is it on the smaller side, how high are the ceilings and so on. These factors will become your palette allowing you to highlight architectural features of the home, whilst creating visual harmony. It is vital that when selecting furnishings you consider colour and material as these can affect how the room feels when complete. If you are living in your home throughout the sale campaign, it’s important to depersonalise and declutter your home so when prospective home buyers inspect the space, you want them to be able to clearly imagine themselves living there, not visiting a friend. 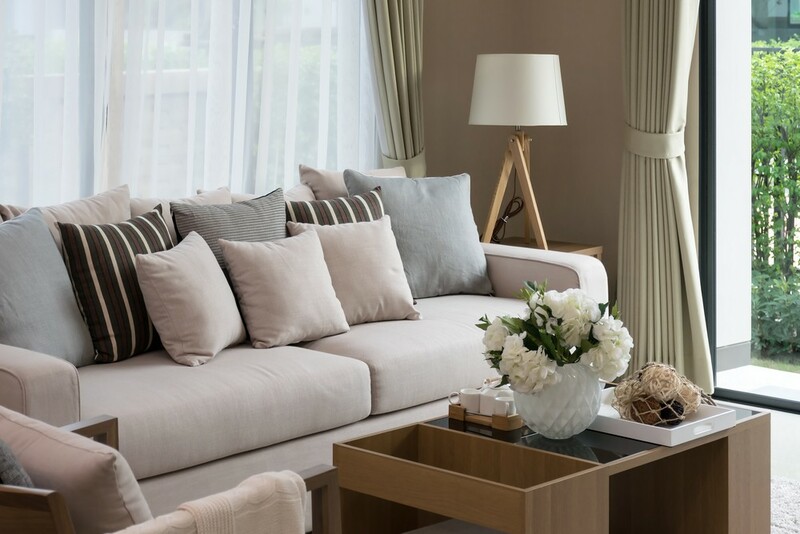 Remove personal items such as photos and accessories, and instead inject personality through the use of carefully selected furniture, artwork and cushions. In order to bring a fresh feel to a space, look to utilise current interior trends to boost a room’s appeal. Currently we are seeing the revival of 60s and 70s colour trends and finishes; think burnt orange and green, along with the introduction of velvet sofas, ottomans and feature chairs. Combine these with the ever-popular indoor plant for a homely feel. Scandinavian design is here to stay, so if the above is a little too bold for you, we are certainly seeing tonal value from light timbers and black accents. Hiring a stylist or purchasing new interior items can seem like a costly up front exercise, but time and time again, houses that are styled properly generally achieve a higher sale price – some have experienced 10 per cent higher – so the proof really is in the pudding!